(Jakarta, 14th May 2014) – Conceptualized to become the leading international 4-star hotel in the East Nusa Tenggara region, early May marks the soft opening of Archipelago International's latest Aston property, Aston Kupang Hotel & Convention Center. Kupang is the principal city and administrative capital of East Nusa Tenggara and has been serving as a gateway and principal business hub to the Eastern Lesser Sunda Islands. With its close proximity to Darwin, Kupang has also proved to be a popular port of entry for Australian tourists eager to explore the vast Indonesian archipelago. 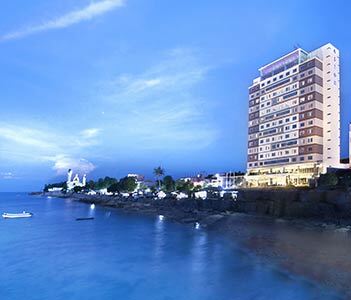 Only 20 minutes from the Airport and 10 minutes to the city center, government offices and banking district, the hotel will feature 179 stylish guest rooms and suites, several of which boast ocean views that overlook to Kupang Bay. There will also be six restaurants including one that specializes in Chinese cuisine, as well as a sky lounge with breathtaking ocean views. For business and leisure, guests can enjoy the hotel's swimming pool, fitness center and spa, as well as 5 meeting rooms and a grand ballroom that can accommodate up to 1500 persons. “Aston Kupang Hotel & Convention Center will bring a breath of fresh air to Kupang thanks to Aston's signature facilities and Kupang's growing international attention.” says Norbert Vas, VP Sales & Marketing Archipelago International. “We are confident that the hotel will become the leading 4-star accommodation in the area, and we intend to strengthen Aston's presence even further in 2014” he added. Soft Opening Aston Kupang Hotel & Convention Center - Kupang, seen in the picture from left to right Mr. Johny Tannur, Director I (Owning Company Sinar Global Investama), Mr. Marthin Fanggidae, President Director, (Owning Company Sinar Global Investama), Mr. Marcel Fanggidae, Commissioner (Owning Company Sinar Global Investama), Mr. Winston Hanes, Regional General Manager Archipelago International, Mr. Ario Budi Nugroho, General Manager,Aston Kupang Hotel & Convention Center, Ms. Febry Mutia Anindita, Corp. Director of Marketing & Communications with Management team of Aston Kupang Hotel & Convention Center during the Soft Opening Ceremony. Exterior of Aston Kupang Hotel & Convention Center – Kupang.